In today’s online world, businesses have a lot of noise to work through if they want their voices to be heard. Customers are looking for brands that have a strong focus on the needs of their audience and who speak with a consistent brand voice. As you enter the online arena, you will need to find your brand tone of voice quickly. Whether you’re taking an authoritative approach, trying to keep things light, or somewhere between, your brand voice should always focus on being authentic. People will walk away at the first sign of something fishy, so it pays to be honest with your customers. Let’s take a look at some simple steps to define your unique brand tone of voice. To put it simply, this is the collective tone and word choice you use when communicating with customers across all your marketing channels and social media. To better understand this aspect of your brand, let’s start with a brand voice example. Let’s say you’re an SEO in New York City and you want to help small businesses optimise their websites. How do you approach a brand tone of voice like that? This is where you would tweak your voice to better suit your audience. You can speak with authority, but perhaps you will stray from complex terminology. This type of balance is crucial when building a brand’s tone and voice. 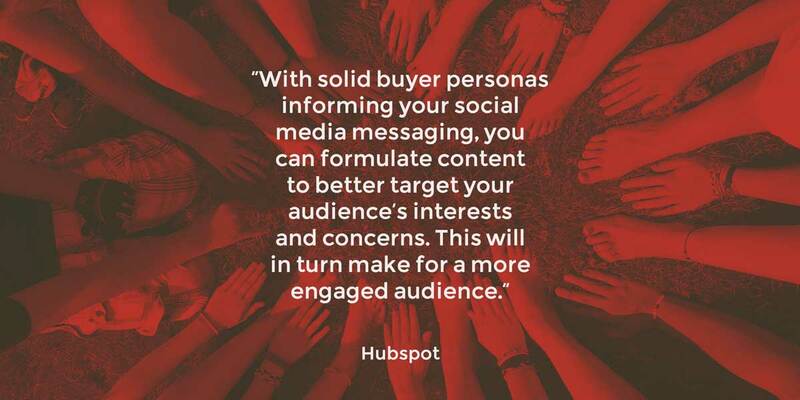 Buyer personas are an important aspect of your marketing and they can help you understand your customers. These go beyond simple demographics and instead focus on the motivations and needs of your clientele. It’s important to remember that you should listen before you write. How do your audience members prefer to communicate with one another? Do they tend to have casual conversations, or are they more focused on rigid professionalism? What does he or she want from my product? What problems do my customers face? What hobbies or activities do they prefer to do in their free time? These kinds of questions and the answers they provide will give you a deeper insight into your customers and their needs. This will help you speak to them and address them more effectively. Your voice is fuelled by your brand’s inner workings, so it’s important that you align these things before you choose a consistent voice. What is your business plan for the next 5+ years? What is your company’s stance on issues in your industry? What do you want for your customers in the near future? Everyone on your team should be on equal footing when it comes to these things. That way, when issues arise or questions are asked, everyone is on the same page and your voice stays consistent. 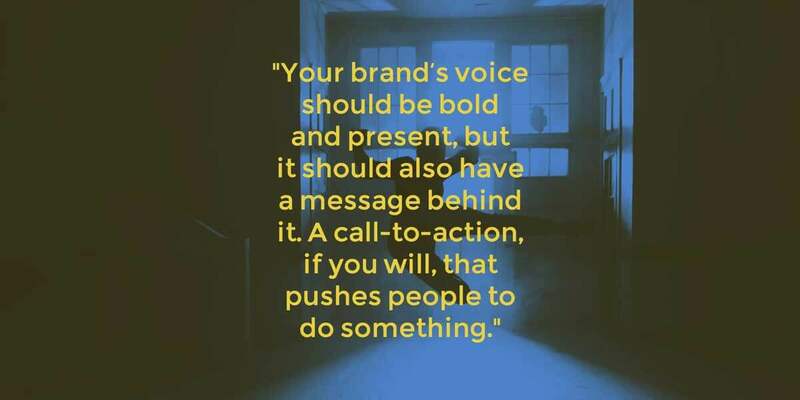 Your brand’s voice should be bold and present, but it should also have a message behind it. A call-to-action, if you will, that pushes people to do something. Not only will this capture the attention of your audience, but it will also associate that positive emotion with your brand. Short phrases like this, combined with bold and powerful verbs are exactly the kind of message your brand should be sending out to the world. In this case, they were targeting their audience in the IT industry and challenging them to think outside the box. The concept was to break free from the standard expectations and instead shoot for loftier goals. Inspiration can come from anywhere, which is why it’s important that you don’t let your brand exist in a vacuum. Take a look at other brands in your industry and look at the voices they use. Take notes on their wording, their tone, and everything else. These brand voice examples will help you build your own. They will also show you what not to do. You can find out a lot by looking through the comments for posts on their blog or on social media. If the general reaction is not positive, then you know you’ve found a flaw in your competitor’s voice. 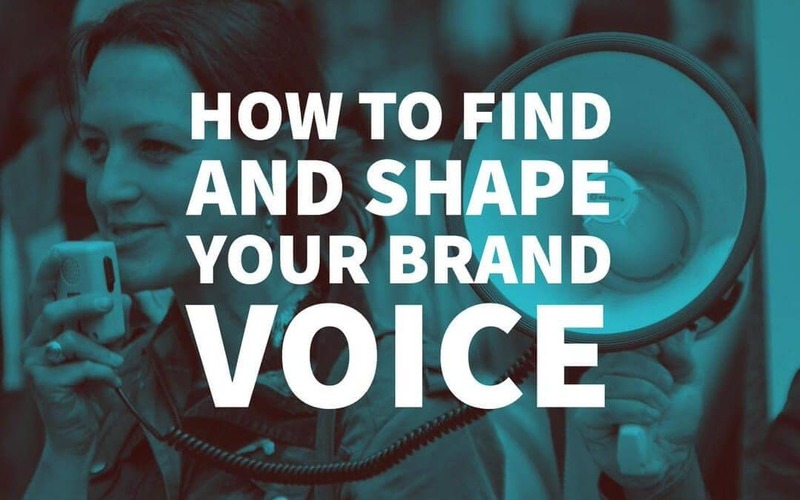 Take inspiration and build your own voice from the different pieces that you collect in your research of other brand voices. Sometimes the easiest way to establish something as wide and far-reaching as your brand’s voice is to boil it down to its basic ingredients. If you can look at it like this, then you won’t have any trouble communicating the basics to your content creators and brand ambassadors. Start by gathering all the content that you feel represents the values of your brand and group them all into categories. 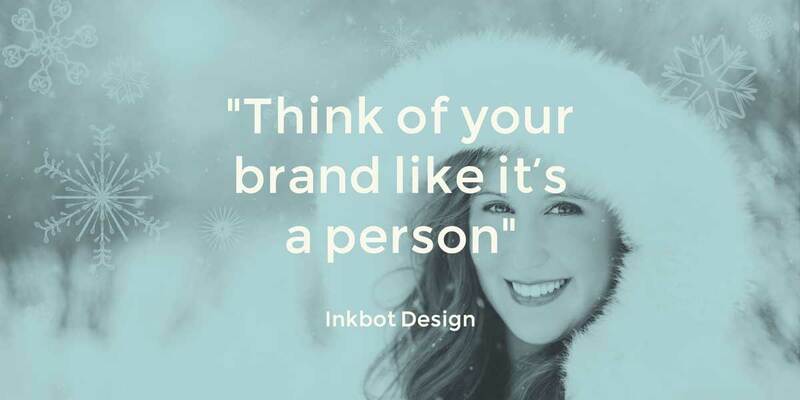 Think of your brand like it’s a person and imagine describing that person’s personality to someone else. Look at your competitors in the same way. What archetypes do they fall into? How would you describe them in comparison to your own brand? Let’s put this into an example. Now, let’s take these three words and expand on them to include terms that describe the content you’ll be creating. By now you’ve established some words that describe your brand voice. You’ve gotten to know your customers a bit better, along with your business. It’s time to take all those things and mix them together into a final representation of what your brand’s voice actually is. Creating a chart or a visual of some kind will help you and your team understand how these concepts play into their day-to-day activities. You’ll start with three rows for each of the words you choose above, and then create columns that build upon those concepts. Your columns can include a detailed description of how that term plays into your voice, along with a column for best practices and things to avoid. This description helps your content team understand the tone and approach they should be taking. You could also list out things to avoid that would detract from this aspect of your voice. This will finish painting the picture for your content team. A chart with this kind of information would offer a big picture approach to your content and your brand’s voice. Having everyone on the same page is essential for your ultimate success. Once your brand’s voice is defined, your journey is just beginning. Your business will continue to evolve as time goes on and your voice will need to change and adapt to the new landscape of your business. You can amend your chart from the point above to keep everyone updated on any changes. It’s smart to bring your team together every quarter or so for a meeting and collaboration session. This will give you the opportunity to look at your current practices and allow your content creators to voice as opinions about what should be altered or changed. Your brand voice is one of the most important aspects of your business, along with your logo and image. It’s critical that this voice remains consistent across all your communication channels. It’s also important that your brand’s voice continues to evolve and grow as your business does. The two should be intertwined. How do you define a brand voice? 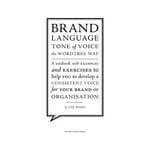 Excellent advice for brand voice! Great advice applicable to many different companies.